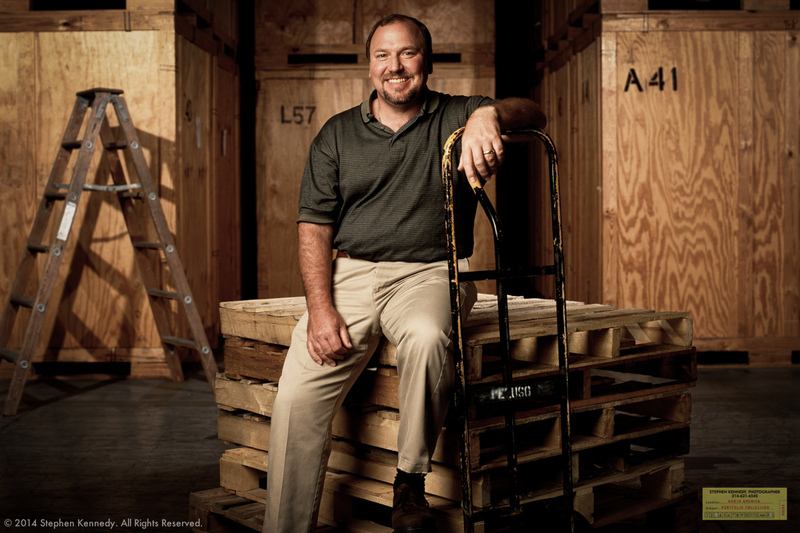 This portrait was taken in the warehouse of a moving and storage company in Naples, Florida. While not on par with the closing scene of Raiders of the Lost Ark, this facility was still impressive in size. It contained crate after crate after crate of stuff. Stuff that was in transit, stuff that was in storage and stuff that was destined for the landfill. My subject runs a business that relies on people’s attachment to things and a willingness to pay handsomely to have these things handled with care. He’s a great guy and he has a great business, but I’m doing everything I can to never need what he’s selling. Call it minimalism or something else but I’ve willingly opted out of this aspect of life. About the author: I am Stephen Kennedy, an experienced photographer with more than 2300 completed assignments to my name that took place in 50 states and 22 countries..